This is my submission for XDrive Photo Lesson 6 – Focus on Blurs. All photos were taken with Nikon D750. Do we first come up with a story, then a picture? Or come up with a picture first? I don’t know. (Does it even matter?) What I know is: story changes when I focus/blur a different subject in the photo. Don’t you agree? For me, some blurry photos are like abstract paintings. They attract me, but I don’t understand them. 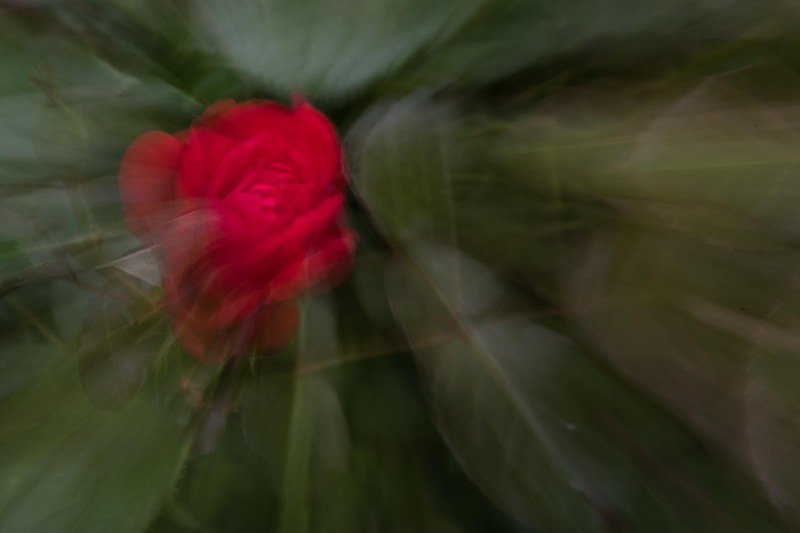 The rose photo was created by zooming out while pressing the shutter release button. 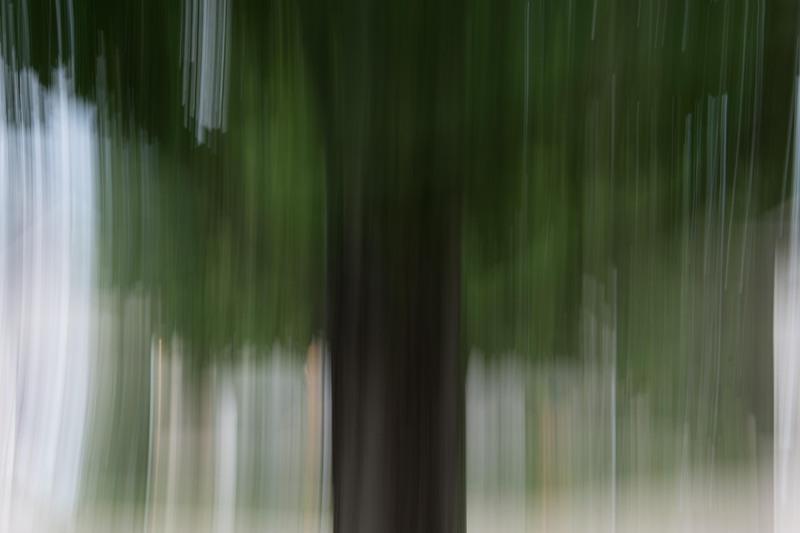 Tree photos were created by panning while pressing the shutter release button. Thank you, Raj, for another great lesson. This entry was posted in photo, photo and thoughts, Photo Question and tagged XDrivePhoto. Bookmark the permalink. 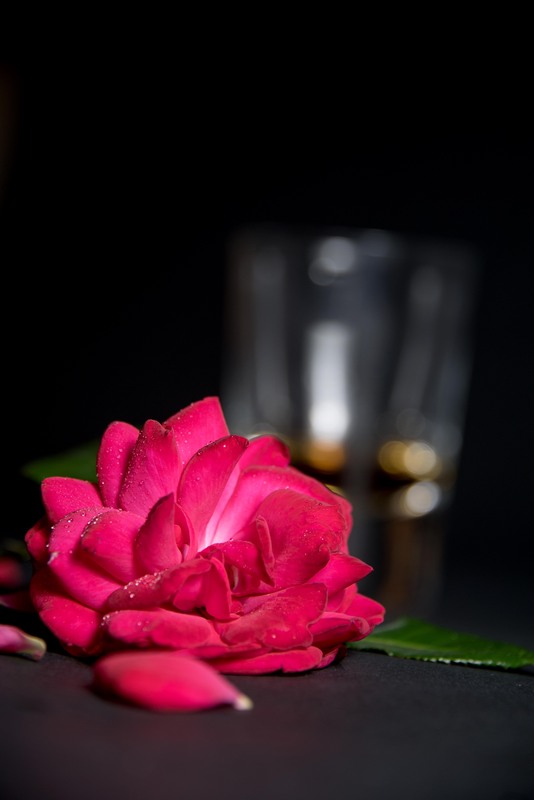 Pic 3: Rose with drink and the petals.. Well that’s so beautiful composition and yes I agree focus and blurs makes the story. You wrote a powerful story with this picture. 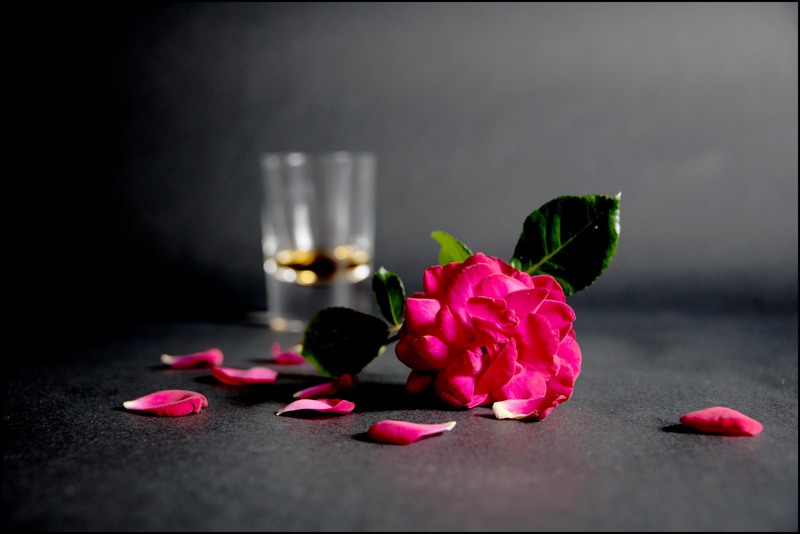 The broken petals take the story to climax and now I want to cry! 😀 As an improvement or as an alternative, bit of a higher angle that way complete glass and the stem of the flower are also visible? 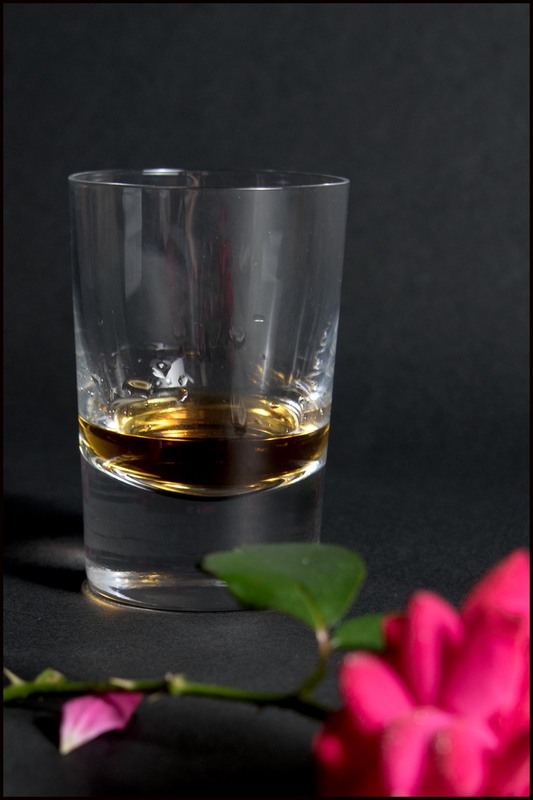 Bit less blur on the glass may be? But superb photo.. I am just nitpicking! One of the best I have seen here! Pic 6: I do agree those kind of induced motion blurs creates an artistic images. Yes they are abstract kind. Specifically liked this pic with those color gradients. To be frank, I have not ventured into this yet. Now I want to try this out. Thanks for the lead. I think there needs to be lot of experimentation involved here as far as the settings goes. This critical review is part of the XDrive Photo Learning sessions. Thanks again Helen and it was a superb contribution. First, I want to say… I read at Amy’s comment section that you worry if your critic would hurt people. Please stop worrying. It’s very difficult to get an honest feedback — Many of us are crying for that. We really appreciate your critic! You are right that the first picture could be taken a little higher. Taking this kind of photo is pretty new for me, maybe 2 or 3 months. Your critic is very helpful. Thanks. Pic 6 – this is the second time I tried this. Otto was the one who introduced this to me. I did it when I was taking his class 3 years ago. 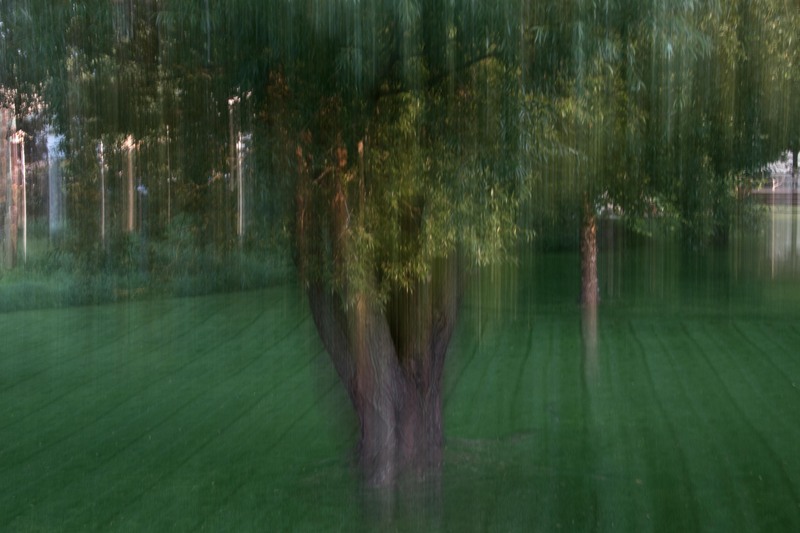 Your subject on blurring reminds me of this..You are right (again) it takes a lot experimentation. At this point, I would take many photos and then pick the ones that I like. I don’t have a clear idea on which would work and which wouldn’t yet. Thanks, Mabel. What you said makes a lot of sense to me (as always 😉 I probably have done the same thing, the more I think of it. It’s just that when you do things in the auto-pilot mode, you don’t really know what you are doing… I am so happy you answered my question. THANK YOU! Beautifully done, Helen. I read a photo book about creative photography and mention about the abstract photography using panning, I think yours are much better captured. I really like these shots. Thank you, Amy. I learned panning from Otto’s e-workshop 😉 I only did it once during his workshop and the word “blurry” reminded me of it. I want to know more about abstract photos. They are fun to create. I am glad you like it too. Thanks, Lois. I like those 3 photos too, particularly the trees. I think the rose one could be better. The problem I am having is that I don’t know how to take a better one. I mean what I should look out for when I make the next abstract photo. Hopefully like all other art, eventually it will become clear. Ha. Helen, your last image is my favorite. It’s mysterious and inviting. Thank you, Sally. I like the last one too. I think the shape of the tree trunk and the light were interesting.The thing I don’t like too much is that at the moment I was taking the photo, I had no idea how the photo would turn out. I guess with a lot of practices, maybe the unknown feeling will be decreased. Do you think so? Have a wonderful afternoon. . I love all your photos! They are amazing. The blurry ones seem to have more stories~ impressive. I like the 3rd one best, followed by the last one, although this kind of artistic movement blur is not something I usually indulge in. Nice selections. THANK YOU! The third one is the other tree? Or the flower? I have a feeling that depending on which blurring photo one likes, we can somewhat guess his personality (characteristic?) Just a feeling, I don’t really know how. Ha. Wow! These photos blew me away! I can’t believe how changing your focus points had such a dramatic effect on the first 3 pictures. I honestly felt completely different from one photo to the next, a different scenario played out in my mind for each of them. And the last 3 had a ghostly, spiritual vibe. Well done!